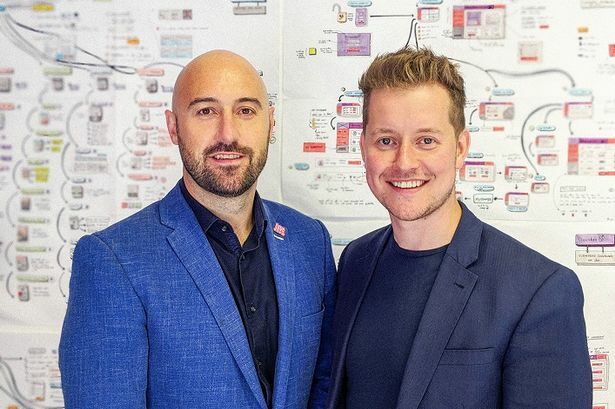 Two creative agencies in Birmingham have undergone a merger deal. Digital agency Lightbox has teamed up with social media specialist Blake7 in undisclosed deal. The two agencies have merged to help take advantage of the skills and services provided by both, particularly in website design and build, SEO and social media. Rob Pollard, who founded Lightbox in 2005, will remain on as chief executive of the newly combined outfit while PJ Ellis, who launched Blake7 last year, has become commercial director. The company will continue to be called Lightbox and the new 16-strong team will work from its current city centre offices in John Bright Street. Turnover has tripled from £180,000 three years ago to a projected £825,000 for 2018/19 and its roster of clients includes Associated Architects, Birmingham Children&apos;s Hospital, Wesleyan and University of Birmingham School. Blake7 will bring clients such as Birmingham Law Society and South and City College to the group. Mr Pollard said: "We have invested in Birmingham and we&apos;re excited to call it our home. "We have committed to being in the heart of the city and this merger is a further example this commitment. "Despite an incredible period of success, we will never stand still and continue to invest in our systems, software and people to ensure Lightbox remains relevant and robust for the future." Mr Ellis added: "Rob and I have been speaking for some time about our growing businesses and how our own skill-sets, and those of our teams, could complement each other. "We concluded there was no point competing with one another and by merging we could combine the skills, services and contacts provided by Blake7 and Lightbox for the benefit of all our clients. "These are truly exciting times in the West Midlands with the arrival of new businesses, infrastructure and creative people launching new companies. "We want to be right at the heart of this and have ambitious growth plans to meet this demand."